What Is Needed in a Good Contract Tracking System? Because contract deadlines can make or break a deal, it’s important to locate and use a good tracking system. However, before you can do that, you must know what features define a good tracking system. A good system must be easy to set up, have the ability to track auto-renewals, offer an easy-to-see calendar, give you the ability to send out alerts, schedule different alerts for each contract, and allow you to send alerts to people outside your organization. There are several options for tracking contract deadlines. You could use your online calendar, use Task Manager in Outlook, schedule deadlines as events in Outlook, or even use a paper calendar. All of these have several shortcomings. First of all, your reminders are nowhere close to the contracts. No one wants to constantly shuffle back and forth between different systems to get the information they need. Second, it’s hard to tie multiple reminders together for a single contract this way. You can’t quickly see all the contract related dates for a specific contract. Finally, If your computer crashes, there go your Outlook settings. If you lose your paper calendar, you have to create another one from scratch. These systems work really well for small companies or individuals, but the more people that rely on the information and need to be kept in the loop, the more difficult it becomes. Contract lifecycle management (CLM) software is designed specifically to provide businesses with the ability to manage all aspect of their contracts. That includes deadline tracking, reporting, summary information, and management. With CLM, you need to look for an option that allows you to calendar your deadlines, assign the contract to specific users, and set-up the reminders that you need. 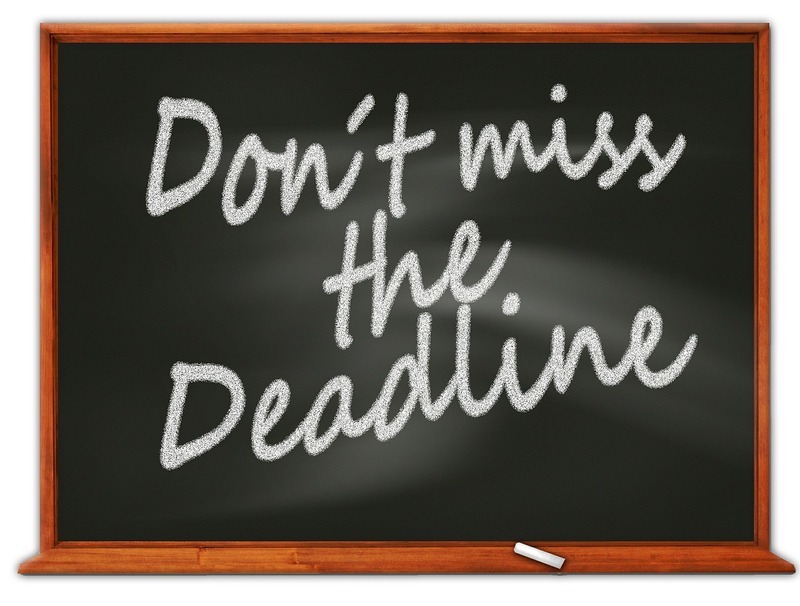 Your CLM should allow you to send the contract and deadline reminders to individuals outside of your organization. A good system will automatically scan the contracts for all dates and give you options for setting up those alerts with just a few clicks. By using ContractSafe, businesses can make sure that they never miss a deadline. There’s an easy-to-use calendar that tracks all key dates. You can set up auto-renewal alerts and customize reminders to be delivered how and when you need them. You can set up recurring reminders. Everyone can see all the key contract dates for the contracts they work on. No more duplication of effort. No more confused emails going back and forth (When is the extension date for that contract?). A happy team and your contracts under control. Recently, ContractSafe was reviewed by PC Mag and rated as the best option for a straightforward CLM that provides deadline tracking. Clients call ContractSafe easy to use and love the ability to easily set reminders. If you’re looking for an easier way to manage your contracts, start your free trial with ContractSafe today.